Explore the pristine beauty and unspoiled wilderness of Luangwa Valley and Lake Malawi on this 13-day leisure tour. Go on safaris, swim in clear waters, try snorkelling, and much more! After being met at Mfuwe airport your guide will drive you to Nkwali Camp through colourful local scenes of villages, agriculture as well as bush. Nkwali Camp overlooks a wide bend of the Luangwa River into the South Luangwa National Park and is ideally situated for the start of your safari. All rooms have a view of the river and open air bathrooms. The game in this area is excellent – and includes many family herds of elephants and the endemic Thornicroft Giraffe. You will spend the next few days at Nkwali Camp, enjoying game drives and relaxation. A typical day at Nkwali has you waking at dawn to enjoy breakfast round a camp fire before heading out on your morning activity. A delicious lunch is enjoyed on the bank of the lagoon, which is frequently visited by our local wildlife. The afternoon is the quiet part of the day – for siesta or swim in the pool. In the mid-afternoon you meet up with your guide before heading out for an evening adventure, finding a beautiful location to watch the sun go down with a well earned drink in hand. The opportunity to discover the nocturnal world by spotlight is a wonderful treat before heading back to Nkwali for dinner. Spend time enjoying the camp facilities and going on safaris into South Luangwa National Park over the next few days. 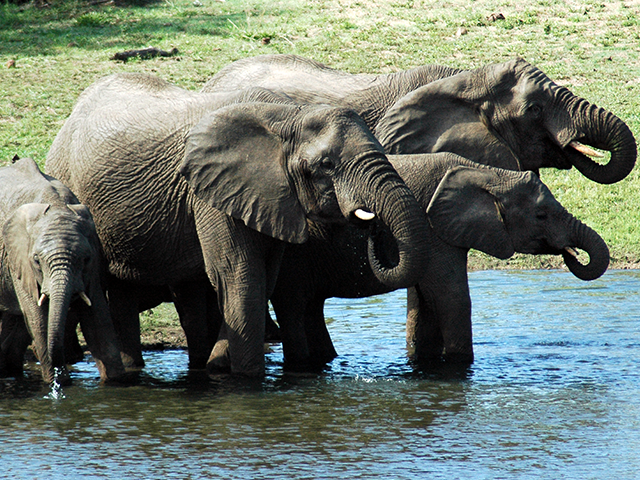 South Luangwa National Park has a large population of Thornicroft's giraffe, elephants and buffaloes. The Luangwa River, which runs through the Park, supports abundant crocodiles and hippopotamuses. 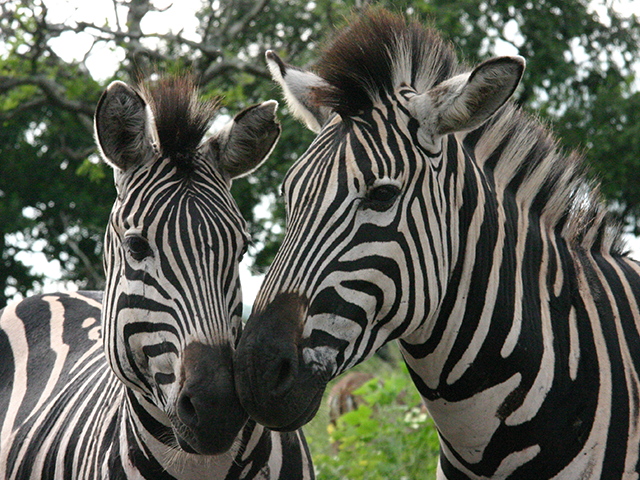 Zebras and wildebeest are also found in the Park. 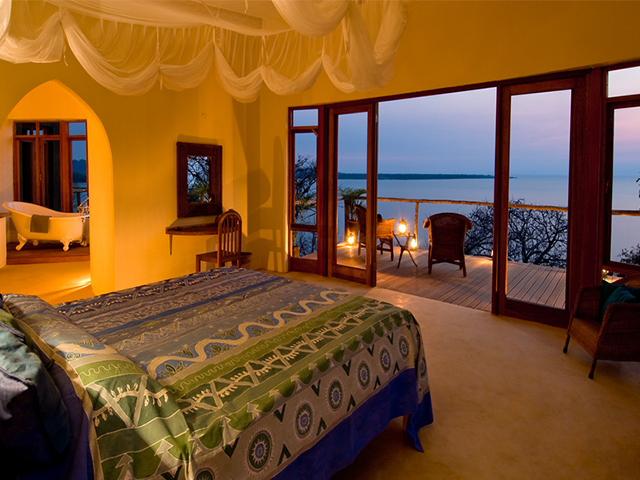 Nkwali Camp is located on private land, overlooking the National Park. 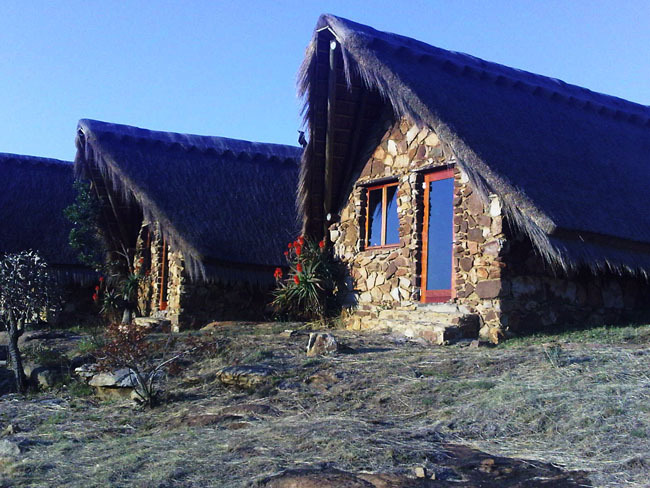 The land is superb gameviewing country, with a beautiful area of ebony woodland and open grass plains. Elephants often cross the Luangwa River which can be seen from the bar, or come to the waterhole near the thatched dining room. After breakfast you will be transferred to Mfuwe Airport (1.5 hours) for your flight to Lilongwe. The flight time to Lilongwe is approximately 50 minutes. On arrival at Lilongwe’s Kamuzu Airport, you will be met by our representative, who will assist you with immigration procedures and the payment of airport taxes (taxes not included in tour price). Our representative will then assist you with check in for your next flight to Monkey Bay, the closest airstrip to Pumulani Lodge. The flight from Lilongwe to Monkey Bay is one hour. On arrival at Monkey Bay you will be met and transferred to Pumulani (approx 20 minutes), where you will spend the next few days. Pumulani is situated on the Westside of the Nankumba Peninsula in the South end of Lake Malawi. Pumulani’s remote beach setting is ideal for those who simply want to soak up the sun and swim in the clear blue waters of the lake. There is an infinity pool with grand views over the lake for those who prefer to take a dive in the swimming pool. For those seeking activity there are many water sports activities on offer like snorkelling, fishing, sailing, kayaking, waterskiing, wake boarding and fun tube rides (all motorized activities are excluded). Spend the next few days exploring Lake Malawi, the world’s most ecologically diverse lake. Its crystal clear waters are home to more than a thousand species of fish, including hundreds of species of colourful cichlids. A special attraction here is a large baobab tree, purportedly over 800 years old. Other than spectacular marine life, baboons can also be spotted near the lake. For those who are interested in real Malawian village life there are guided walks through one of the local villages. Malawians are renowned for being amongst the most friendly people in Africa and during your stay you will have the opportunity to meet them. On the final day of your holiday in Malawi, you bid farewell to the lodge. You will be transferred back to Monkey Bay where you will take a light aircraft to Lilongwe time for the connecting flight back home.